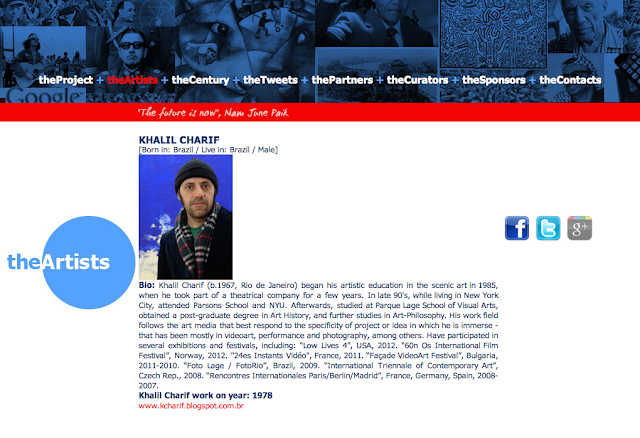 Khalil Charif invited to take part of the Foods Project. 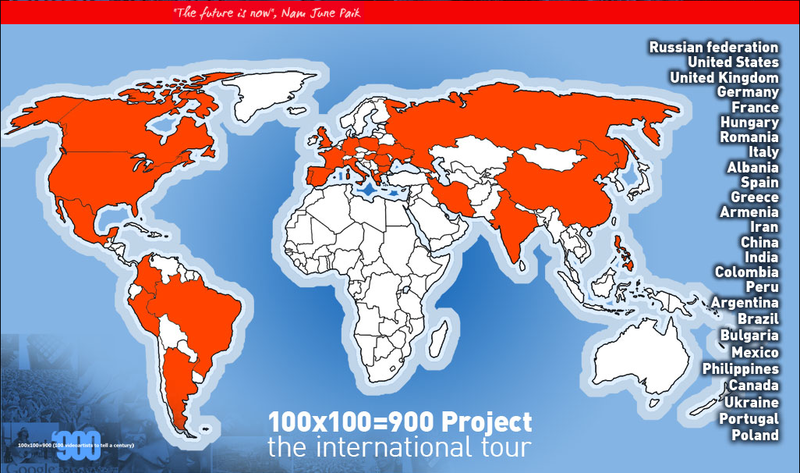 The international tour of the project will reach several venues in many countries. 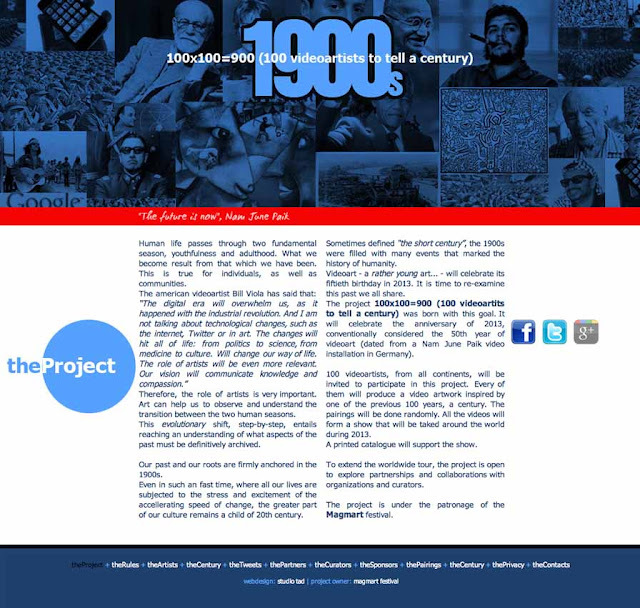 About: Following the previous projects of Magmart (100x100=900 - to celebrate the 50th of videoart, on 2013, and F.I.V.E. - about five senses, in 2014) this new project born with the aiming to coincide with the universal EXPO, scheduled to start for 2015 may 1, in Milan (Italy), on theme "Feeding the planet - energy for life". 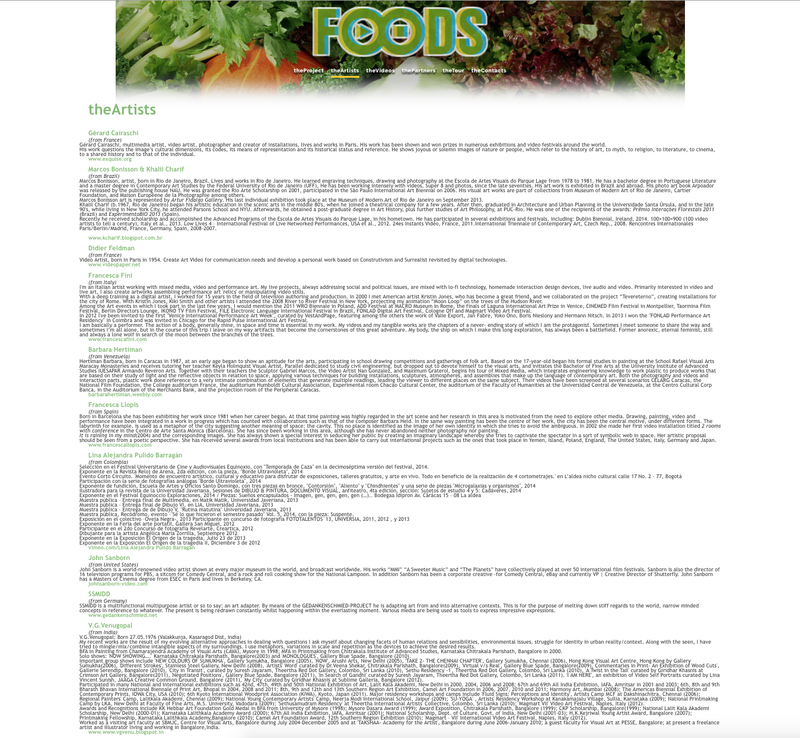 The aim of the project FOODS is to explore the zone around the boundary line between abundance and famine, anorexia and bulimia, body and soul, and any other antinomy amenable to the concept of food/aliment. 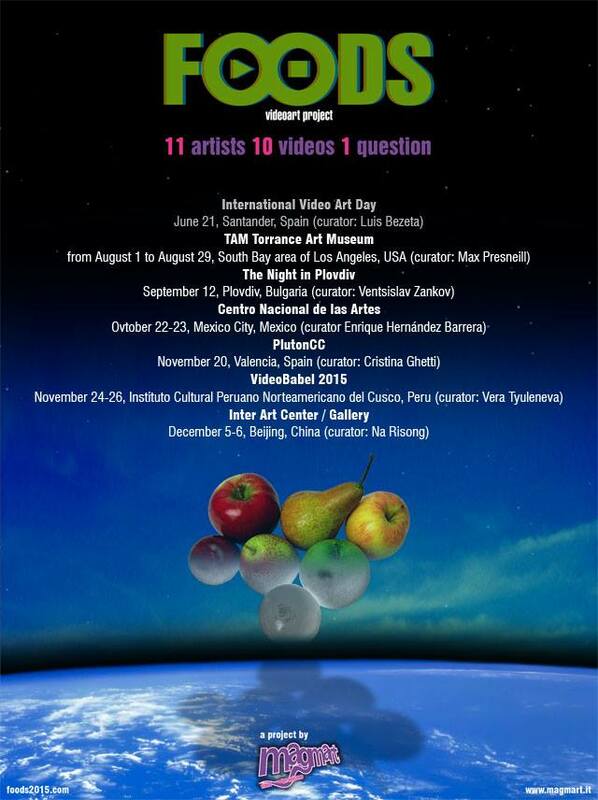 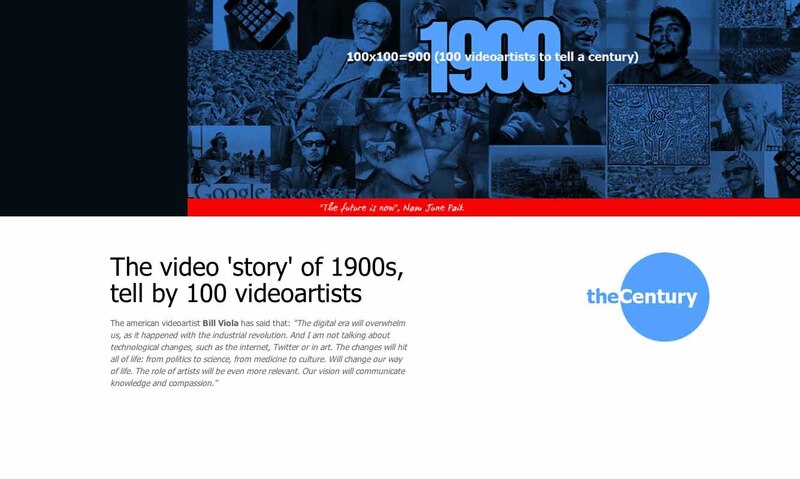 The project involve 11 videoartists, that produced 10 videos, freely interpreting the theme of the project. The project schedule an international tour. Khalil Charif invited to take part of the 1900s project. The international tour of the project will reach several festivals and venues in more than 20 countries. His work is about the year 1978.